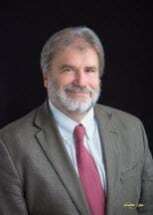 Mr. Harbour graduated from Brown University in 1977 and received his J.D. from University of Virginia in 1981. He is admitted to practice in the State and Federal Courts of N.M., as well as the U.S. Courts of Appeals for the Tenth Circuit. Since 2008, Mr. Harbour practice is exclusively limited to Mediation and Arbitration. He has Mediated over 1500 cases including complex personal injury and medical malpractices cases, as well as business disputes, employment and construction litigation. While he was practicing litigation, he tried over 50 jury trials, and a similar number of bench trials in all courts in New Mexico, both Federal and State. Currently he is a regular presenter at seminars involving Mediation.